Payne Studio and Rohlf’s were competitors and collaborators, and separately represented two important family-led forces in the stained glass restoration and new stained glass industry. Churches and synagogues across the country were attracted to Payne’s distinctive artistry and style. In 1981, the firms merged after the passing of George L. Payne. 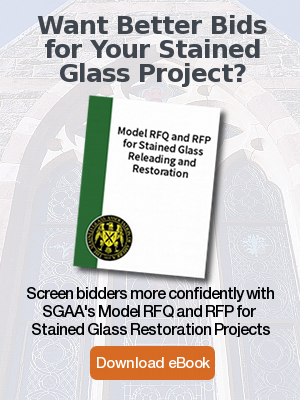 Rohlf’s continues to make the Payne style available for new installations as well as repair and renovation work associated with the George L. Payne Studio. 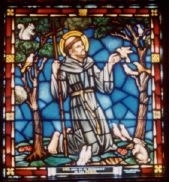 St. Francis Stained Glass Window by George Payne Studios at St. Margaret’s in Washington DC. The Payne family legacy in the stained glass business includes an association with the studios of Louis C. Tiffany, and this is often mentioned in the history of stained glass windows Payne designed and installed for churches across the country. The appreciation of Payne’s style was and is not limited to those of us in the stained glass business. The Website of The Grace Evangelical Lutheran Church of River Edge, NJ offers a tribute and a bit of history of the Payne Studios, along with beautiful imagery of its work for the “Holy Spirit Window” in the Bell Choir, “Gospel Windows” in the narthex, and eight windows in its sanctuary. 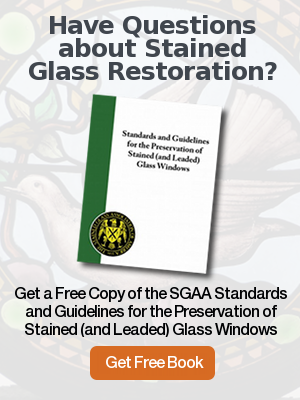 We are honored to continue the tradition and style of the Payne Studios and honor its commitment to and legacy in creation and restoration of stained glass windows.